It’s the time of the year for gifting and giving! 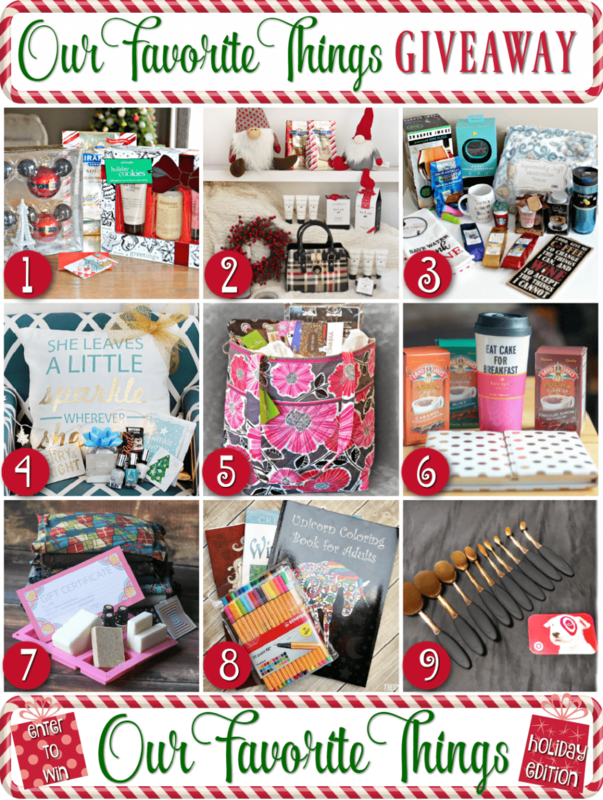 I partnered up with several of my blogger friends for a reader appreciation giveaway. Us bloggers realize that the success of our blogs is thanks to our readers. To make sure you all know that, we are running giveaways of some of our favorite things. Look at all those amazing prize packages! Each number represents the blog and that blogger’s favorite things that they are ready to give to one of you! Scroll down to see my prize package up close. Be sure to enter my giveaway before hopping away to the others. My favorite things this year include a fun drink mug, decadent hot chocolates, and a fancy planner. As soon as the weather cools, I am all about warm drinks. Having a drink mug is not only essential to avoid spills (learned that the hard way), but can be a cheerful pick-me-up when it has a cute saying. I used to love grabbing a different mug every day. That was until I spilled coffee all over my desk, destroying many things in the process. Now I drink from a to-go mug exclusively. Even sitting right at home at my desk, it’s all about safety first. It’s also a bonus that a thermal to-go mug keeps my drinks hot longer. 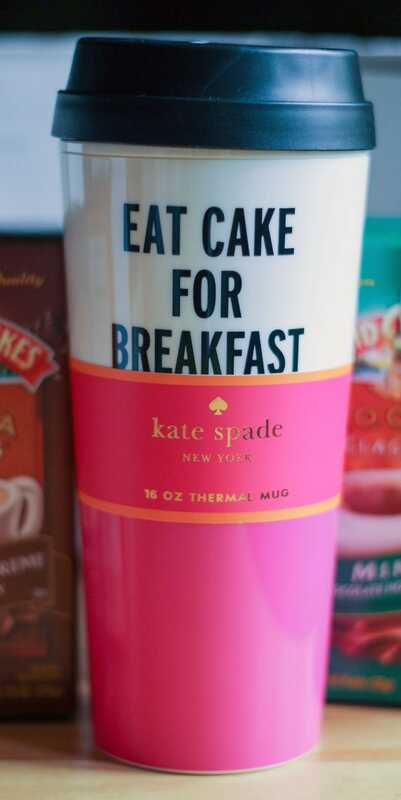 I love the Kate Spade “Eat Cake for Breakfast” mug, so that’s what I am giving away. It’s also the perfect time to enjoy a variety of flavors of hot chocolate. 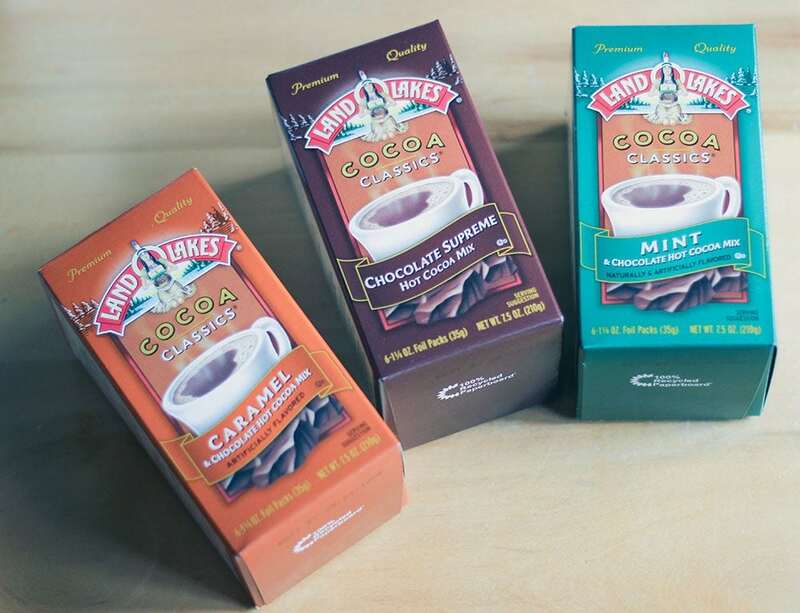 I love hot chocolate in any form, but Land O Lakes has so many irresistible flavors. I mean, how can you pass up Caramel Hot Cocoa? I can’t. There’s a chance I have a planner problem. I absolutely love planners. The Kate Spade folding planner I am giving away feels super professional and fancy. I love that it folds up nicely, but contains all sorts of stickies and sections to help you stay organized. PS. None of these brands sponsored this giveaway – I purchased these things on my own for the purpose of this prize package. So, there you have it. Cozy on up with some hot cocoa, a mug, and plan out your days! I like the Kate Spade folding planner. i like the kate spade dot the is set! Love the planner and I’m a huge coffee lover! All the Kate Spade is cute! I like the K ate Spade New York Black Stripe Large Agenda. I like the Kate Spade New York Black Stripe Large Agenda. I like the Leopard Pencil Pouch. I need to use blogging journal techniques in my every day life.. 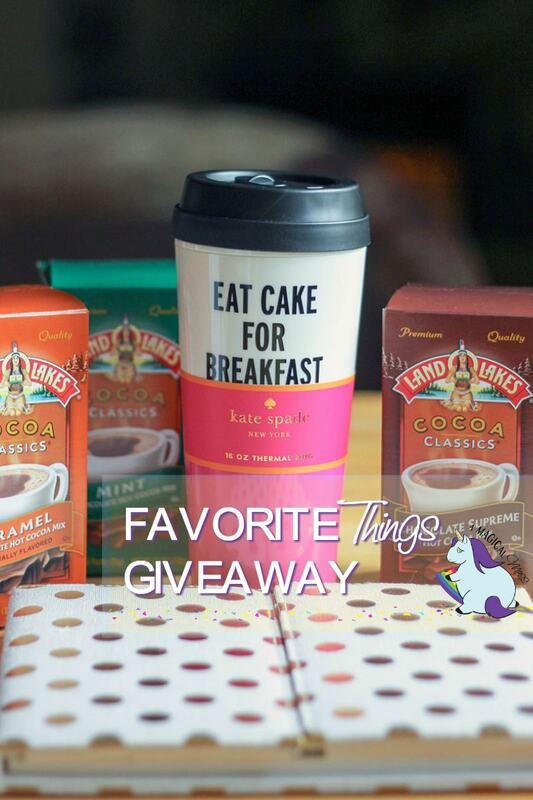 The Kate spade collection is right up my alley….and I love the hot chocolate; it’s my favorite brand! The Hot Cocoa sound so good right now!! I’m not going to be picky I love everything about the contest! Awesome prizes and thank you for sharing your contest with us! Happy Holidays to you all too! Yumm cocoa and list making! I like the alice + olivia Aris Drop Waist Shift Dress. 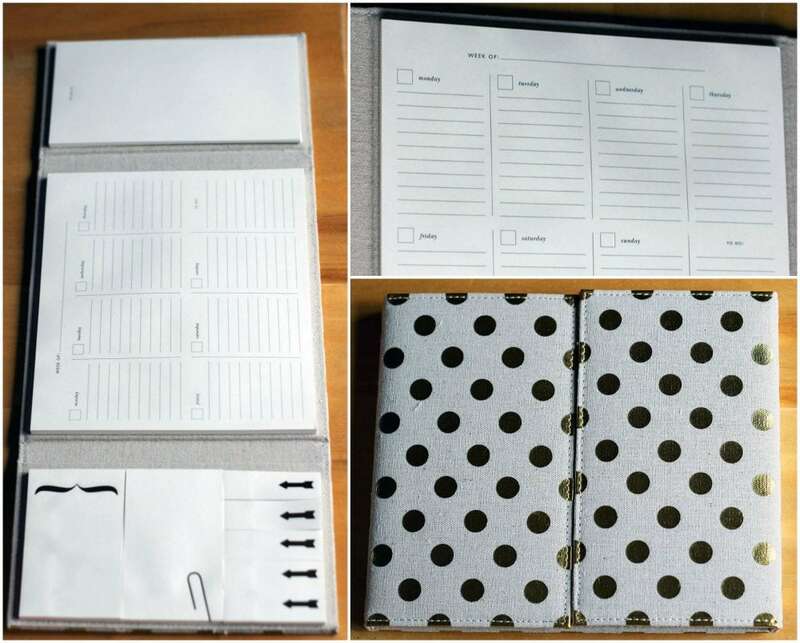 I like the Kate Spade New York Gold Dots Large Agenda because of the high quality and great design that is put into each piece.